Leasing, Securities Law, and Buying and Selling Businesses. The legal expertise of Kanouse & Walker, P.A. is in the areas of corporate, securities and real estate law, with an extensive practice in franchise, business opportunity and distribution law. The Firm represents entrepreneurs, franchisors, franchisees and their companies in all stages of a company's life -- formation, financing, operation, expansion and sale. Kanouse & Walker, P.A. can be a trusted member of your team, serving as the general counsel, business advisor and project coordinator. 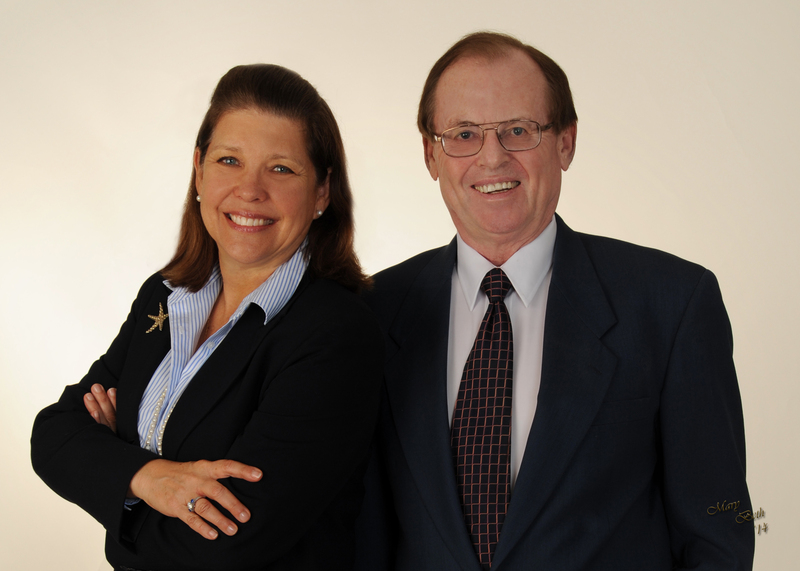 A client can benefit from Kanouse & Walker, P.A. 's extensive network of other experienced attorneys (including litigation, environmental, trademark and patent, foreign counsel, tax and estate planning), accountants, financial consultants and planners, franchise and marketing consultants, insurance agents, advertising agencies, contractors, real estate brokers, franchise brokers. With Kanouse & Walker, P.A., you can have the best of both worlds - the knowledge and expertise from years of big law firm experience, coupled with the personal service, lower fees and flexibility of dealing directly with a partner in a boutique firm. Keith J. Kanouse has over 30 years of practice in New York and Florida (16 with large law firms) representing entrepreneurs and their companies. Mr. Kanouse has lectured and published locally, nationally and internationally on franchise, corporate, securities and real estate topics including the author of 3 books and co-author of 2 others. Susan Walker worked with major law firms before becoming associate General Counsel for a national retail company for over 10 years. Susan Walker is co-founder of Kanouse & Walker, P.A. and its managing partner and she also devotes time to community service organizations. We prepare various contracts for the organization and on-going successful operation of the client, such as employment agreements, confidentiality agreements, shareholders' agreements, distributorship agreements, partnership agreements, dealership agreements, joint venture agreements, etc. We represent clients in real estate acquisitions, sales, leases, options to lease, sale/leasebacks, signage agreements, reciprocal easements agreements, franchisee/tenant lease negotiations, etc. Keeping Your Distributorship/Dealership Offering From Being a Franchise or Business Opportunity ? The ?Don?ts? Advertising is regulated by the Federal Trade Commission and states unfair and deceptive practices laws.. We advise clients with respect to the advertising materials relating to the sale of franchises and business opportunities, including the filing and pre-approval of advertising materials in certain of the franchise registration states. Is your Franchise A 20-year Rent a Business? Should my business be an S corp or a Limited Liability Company? We have negotiated contracts with telemarketers and well as representing telemarketers with respect to compliance with federal and state telemarketing laws. We also get involved in representing franchisees in connection with the sale of the franchise business and resolving disputes with franchisors including negotiation, mediation, arbitration and litigation (with litigation co-counsel). We represent clients as borrowers in connection with loans from investors or financial institutions including SBA financing. Our services include negotiation of the financing terms and loan documents, assisting the borrower in complying with loan closing requirements, rendering borrower's counsel opinion letters, etc. We represent defendants in actions brought by the Federal Trade Commission and/or state enforcement agencies including for alleged violation of franchise laws, business opportunity laws, telemarketing laws and/or deceptive acts or practices. We have much experience in representing purchasers, sellers, and owners of restaurants and bars including transfer of assets and obtaining and transferring alcoholic beverage licenses. We represent clients in the mediation of disputes. We also engage in litigation as co-counsel with arbitration and litigation counsel on franchisor/franchisee disputes and other matters. Mr. Kanouse serves as an expert witness in franchise and securities matters including legal malpractice cases. Mr. Kanouse has served as an expert witness in over 30 cases on behalf of attorneys representing franchisors as well as franchisees, and in the prosecution or defense of legal malpractice cases. Mr. Kanouse analyzes the applicable documents and law in connection with the preparation of an Expert Witness Report. He testifies in deposition and at trial. Founder Kanouse & Walker, P.A. Practices concentrates on Franchise Law representing Franchisors, Franchisees, Area Developers, Area Representatives and Sub-Franchisors; Distribution Law in manifacturers, suppliers, wholesalers, retailers, dealers and distributors etc. Attorney, Shareholder and Vice President of Kanouse & Walker, P.A. Representing entrepreneurs, franchisors, franchisees and their companies in corporate, securities and real estate matters with a primary emphasis in franchise, licensing and distribution law. Are Material Changes to Renewal Franchise Agreements Subject to the Implied Covenant of Good Faith and Fair Dealing? Copyright © 2016 Kanouse & Walker, P.A.